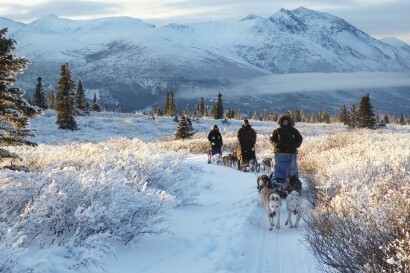 Can you picture yourself sledding through a pristine white landscape, climbing mountains, crossing endless frozen lakes, cradled by the sound of the runner and the panting of happy huskies? 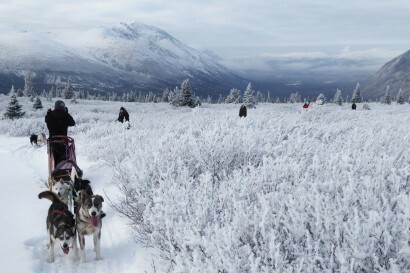 Located on the Fish Lake Road just a few minutes from downtown Whitehorse, Into the Wild Adventures offers dogsledding tours in the beautiful Yukon wilderness. We specialize in small groups, personalized service and customized tours. We are a small ethical kennel and we focus on our dogs well being. It is a great privilege to share our life with these wonderful animals. Come share our passion and meet our incredible furry friends. 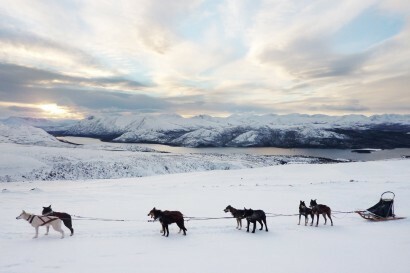 Become a real musher for a day – or a week – and enjoy the thrill of being pulled by a bunch of amazing athletes willing to run forever and take you to the end of the world.